Most of this week’s images depict nature in human settings. I rarely photograph people, and concentrate on things that, in my judgement, work well for me. But you can be the judge of that. At the end of last week, I delivered Mary to the airport as she flew to Queenstown to be with our son and grandchildren for some of the school holidays. It was an odd sort of day, with patches of mist, cloud and sunshine. 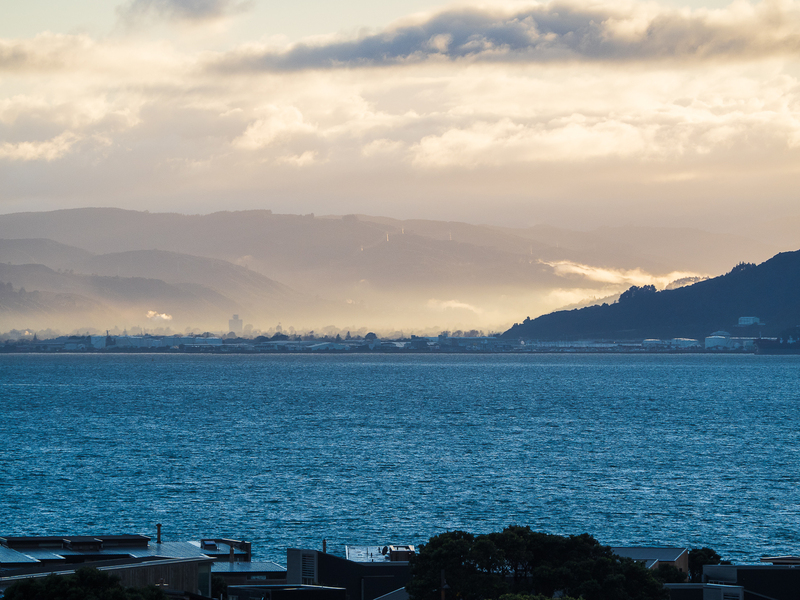 With Mary safely despatched to the South, I went up Hungerford Rd to the hills overlooking the airport and looked back across Evans Bay to the misty Hutt Valley. The Tararuas were obscured, but I was attracted to the trees and the odd tall building peering through the mist. From there I went around the Miramar Peninsula and screeched to a halt when I reached Point Halswell. 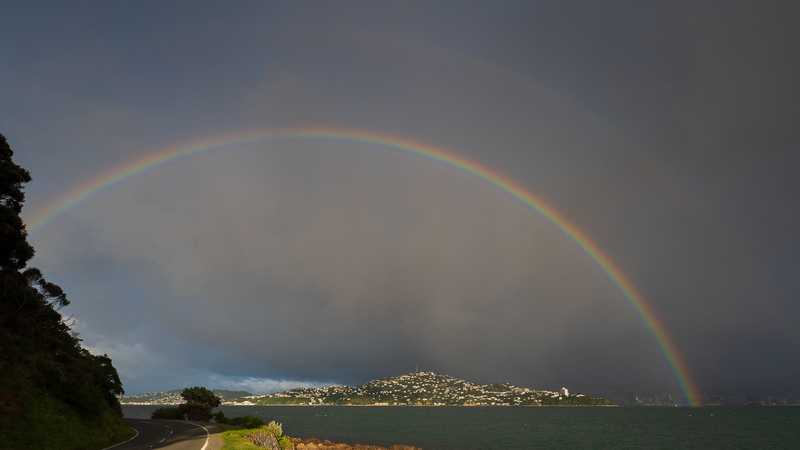 If I were a gambling man, I might have carried on around the corner to catch the full arc of the rainbow, but in my experience, every time I delay taking a shot, it evaporates when I eventually get to it. This was the most intense rainbow I have ever seen, and if you look closely there is a second one outside it. In recent years, New Zealand has begun to adopt the celebration of Matariki. This is the time when the star cluster Pleiades appears above the horizon each year. Many Maori iwi (tribes) regard this as the start of their year. 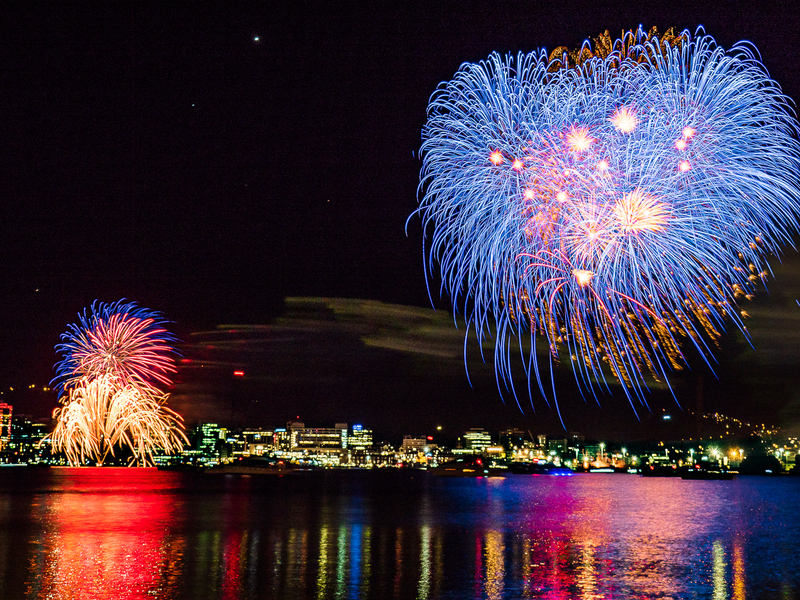 In Wellington City, the mayor has ceased to provide funding for fireworks to mark Guy Fawkes, and has instead diverted it to a display for Matariki, arguing that it is more appropriate to celebrate a New Zealand event, than a failed political assassination plot in the UK. I agree with him. I had intended to do a road trip during Mary’s absence, but the weather forecast was unpromising, so I confined myself to day trips. 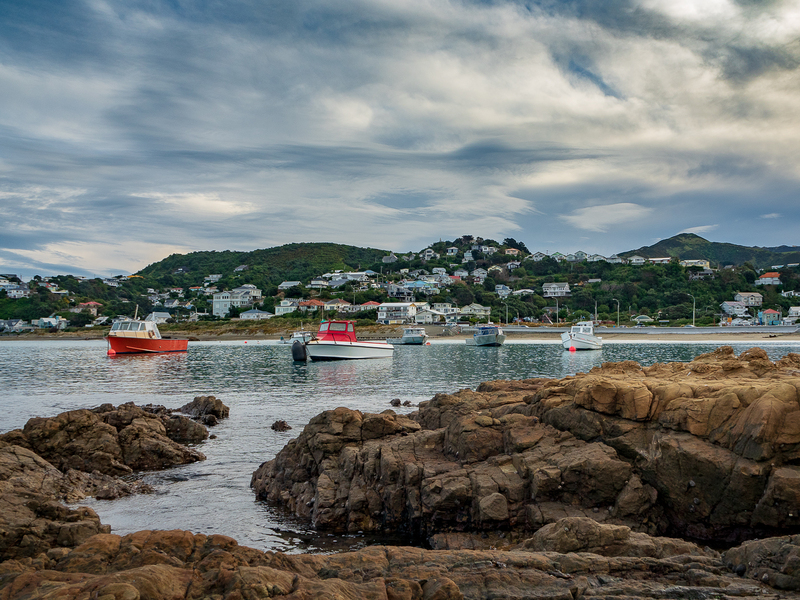 Some of them were to old familiar haunts such as this one in Island Bay on Wellington’s South coast. I liked the clouds. Sunrise and I are very loosely acquainted. Sunsets are no problem, but I am not normally a morning person. Sometimes, if I haven’t closed the curtains properly a flare of red will grab my attention as it did on this day. Most landscape photography experts advocate that photos are best made in the golden hour (the hour following sunrise or before sunset) or even the blue hour (the hour prior to sunrise or after sunset). I agree that some superb images can be had in those times, but I see no reason to put my camera away in the rest of the day, or even at night. 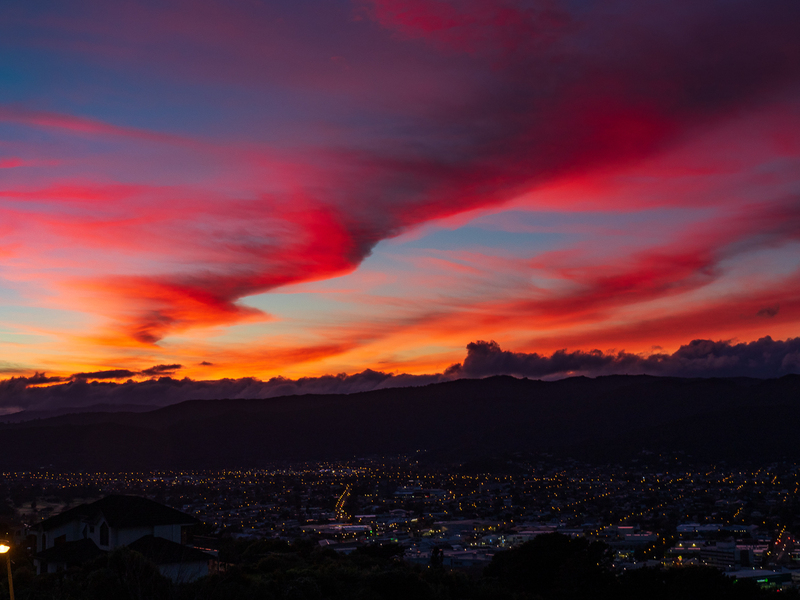 This image from the summit of Mt Victoria was made at 1 pm. 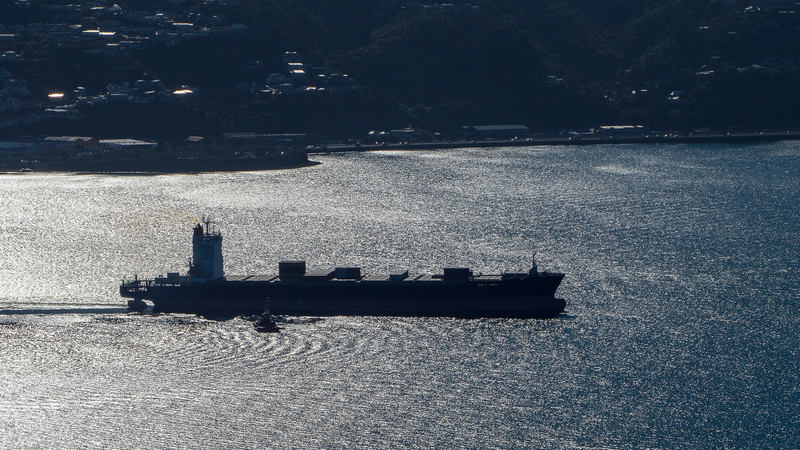 It catches the container ship, Maersk Jabal in silhouette against the glittering waters of Wellington Harbour. I tend not to venture far at night. 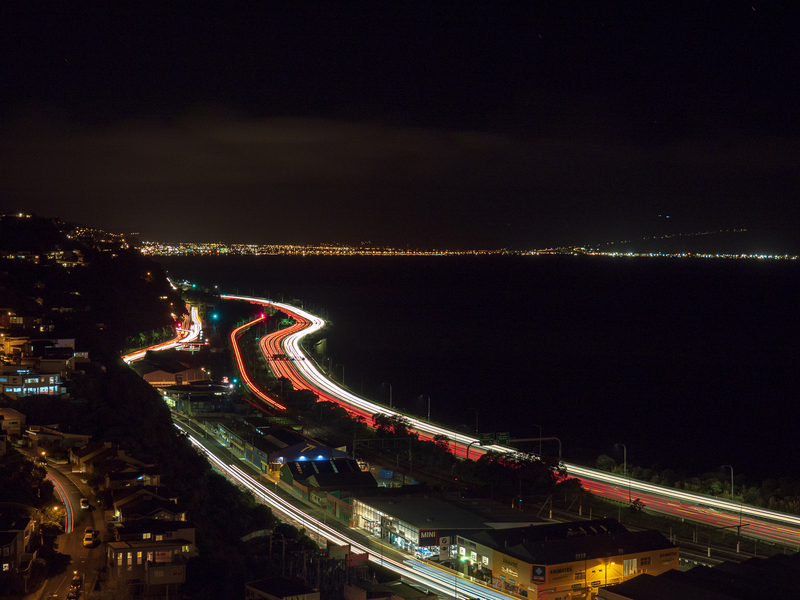 However, Mary was still away so without worrying her, I went into Wadestown on the Western Hills above the ferry terminal and made a long exposure on a still (but moonless) night. It was still early enough to catch the tail-end of the two-way rush hour. 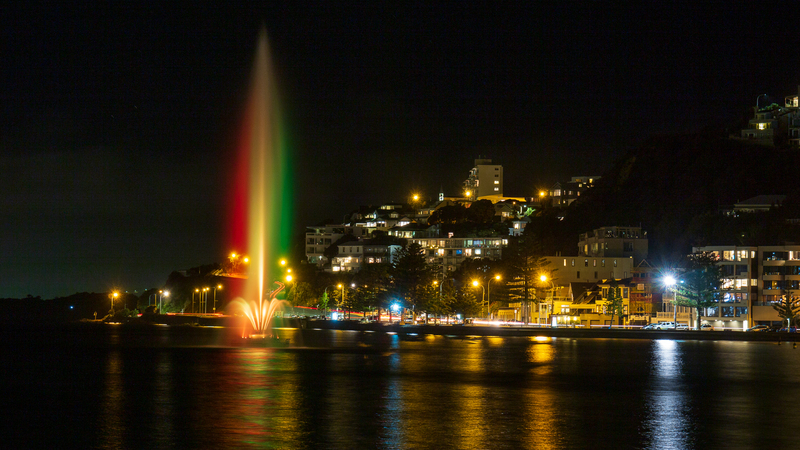 That same evening, I went to Oriental Bay. The Carter fountain was playing and the water was still. I used a feature of my camera that allows me to make a composite image over an extended period. The coloured floodlights changed several times during the 18 seconds of this exposure. I expected that the additive result might be a muddy colour, but was delighted at the way it separated three of the colour phases. From the same vantage point, I turned 90 degrees to the left and loved the night cityscape. The building on the left presents an obsidian black face during the day, but with the lights on at night, all is revealed. As much as I love nature, I also love the colours and textures of of the city. 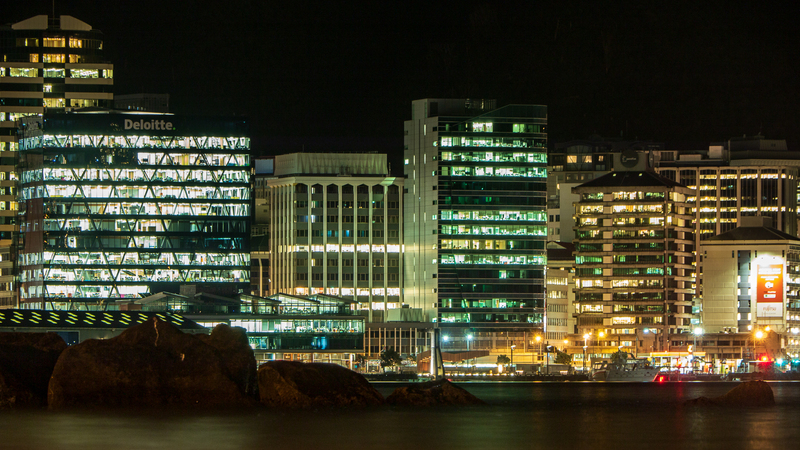 This entry was posted in Airport, Architecture, Camera club, Cars, Cook Strait, Festivals and fairs, harbour, Landscapes, Light, Maritime, night, Reflections, Seasons, Weather, Wellington. Bookmark the permalink.